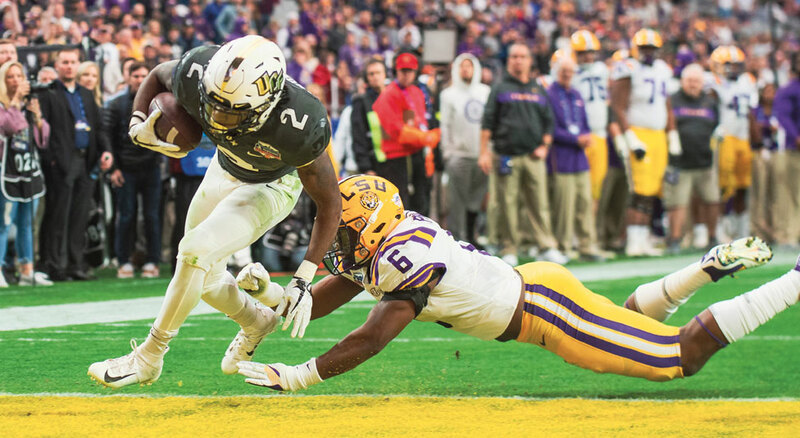 After the confetti was swept away at the end of last year’s Peach Bowl, the speculation swirled almost immediately. 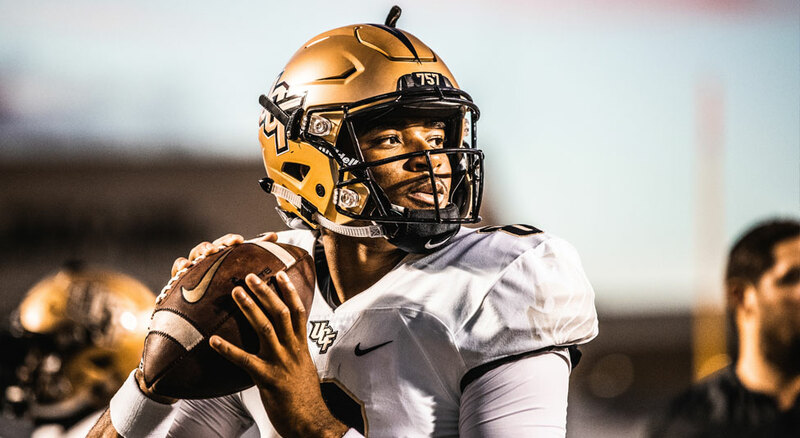 How could UCF possibly sustain the success from its perfect season? A new coaching staff. Four players drafted to the NFL. A target of the college football world. 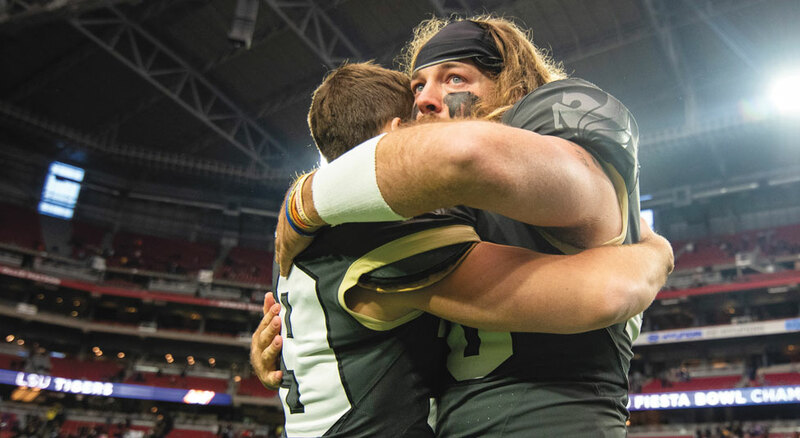 There’s no way the Knights could keep it rolling in 2018 — could they? Clearly the doubters don’t know what it means to be a Knight. 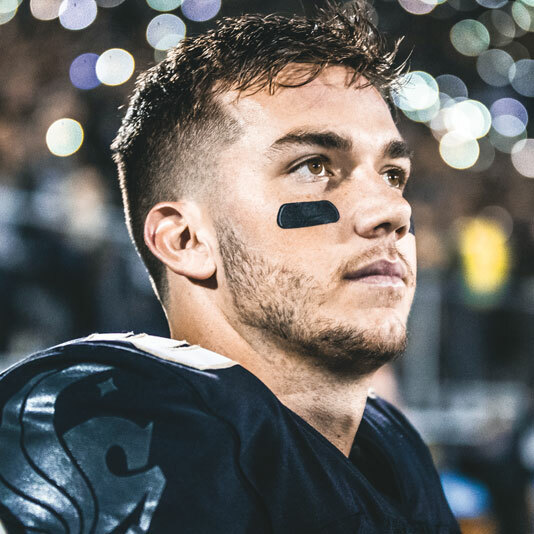 Led by junior quarterback McKenzie Milton, who threw for five touchdowns, UCF scored in less than 2 minutes, 40 seconds on each of its eight scoring drives. 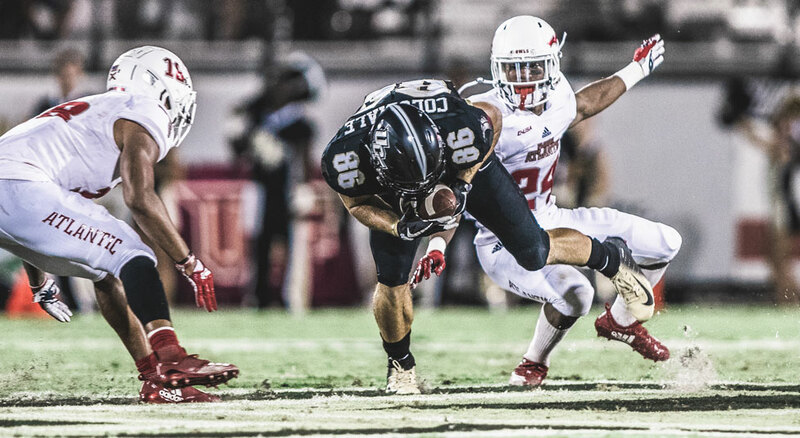 After 279 days since the UCF football team’s final home game of the 2017 season, the lights shined bright once again at Spectrum Stadium. The second-largest home-opening crowd in school history (43,269) shows up, as the defense records its first shutout since the 2016 season opener, which was also a 38–0 victory over South Carolina State. 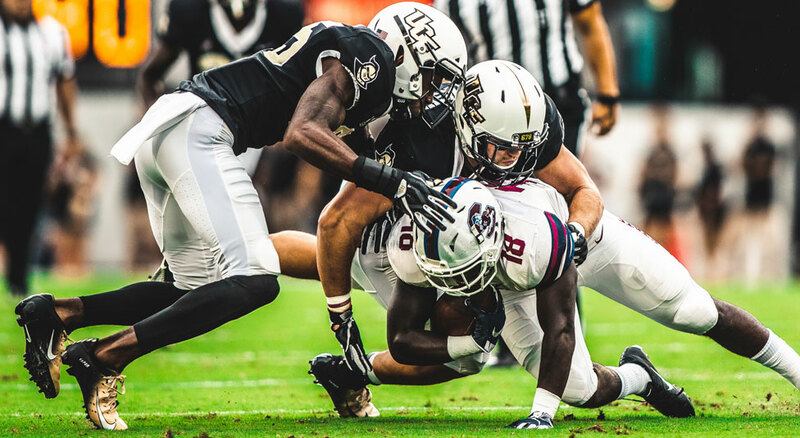 The game was canceled due to Hurricane Florence, marking the third straight season Mother Nature affected the Knights’ schedule. 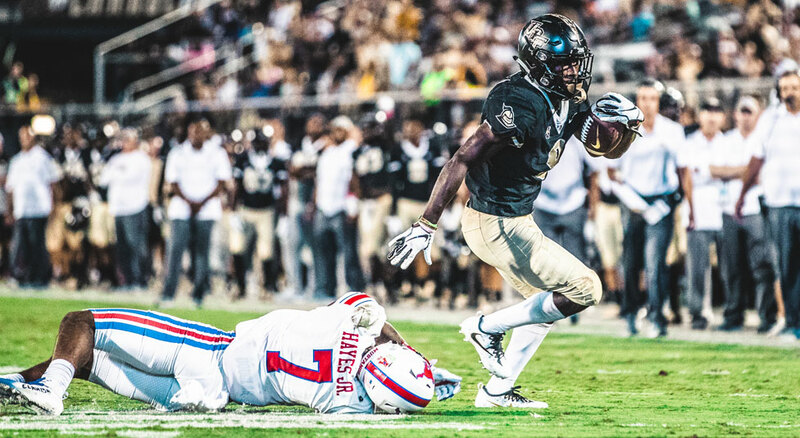 After a back-and-forth first half, the Knights outscored the reigning Conference USA champions 21–6 in the third quarter and rolled on to the 16th-straight victory, which set a new conference record. 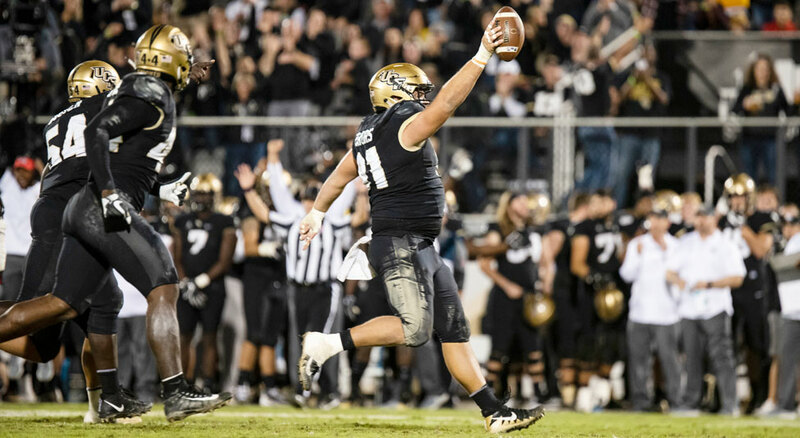 UCF’s 31-point win over Pitt marked the program’s largest margin of victory ever recorded over a Power 5 opponent. Pitt, who went on to play Clemson in the ACC Championship, nearly upset College Football Playoff finalist Notre Dame but fell short, 19–14, on Oct. 13. With a slate of conference foes ahead of them, the Knights focused on making a statement. 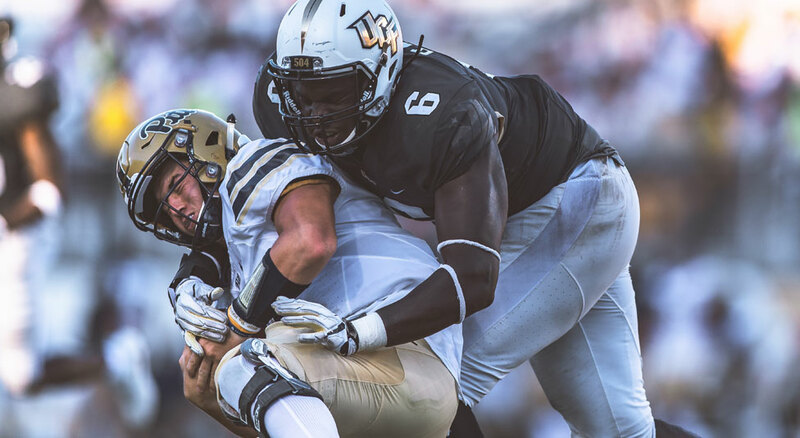 By the end of the first quarter, UCF held a 21–3 advantage. SMU came into the game having allowed 17 points in the first quarter of its previous five games combined. Memphis had won four straight games over nationally ranked teams at the Liberty Bowl and were riding a 12-game regular season winning streak at home. The Knights had never trailed by more than 3 points this season. Against Memphis, they trailed by as much as 16 (at the time, the third-largest deficit overcome in school history) before their heart-stopping comeback. Mack gets the nod to start for the first time in his career and finishes with 69 yards passing, 120 yards rushing and one touchdown. His performance stands as the second most rushing yards by a quarterback in a single game in program history. 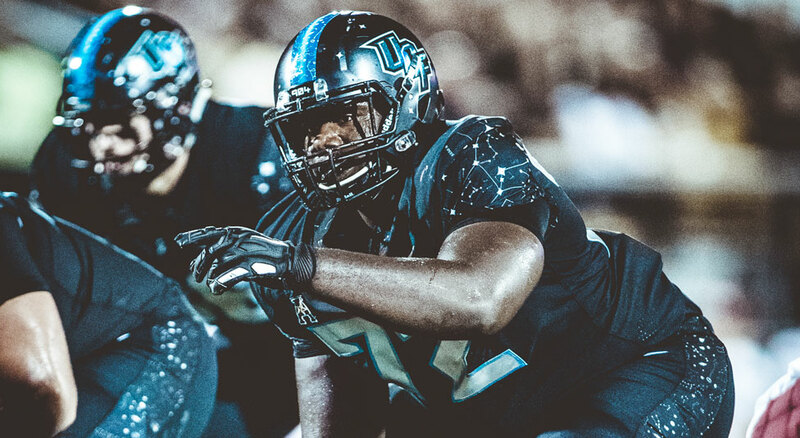 Clocking in at 3 hours and 54 minutes, UCF’s longest game of the season — which featured 92 points and 1,300 yards of total offense — ended at 11:24 p.m. on a Thursday, effectively turning Knight Nation into Zombie Nation. 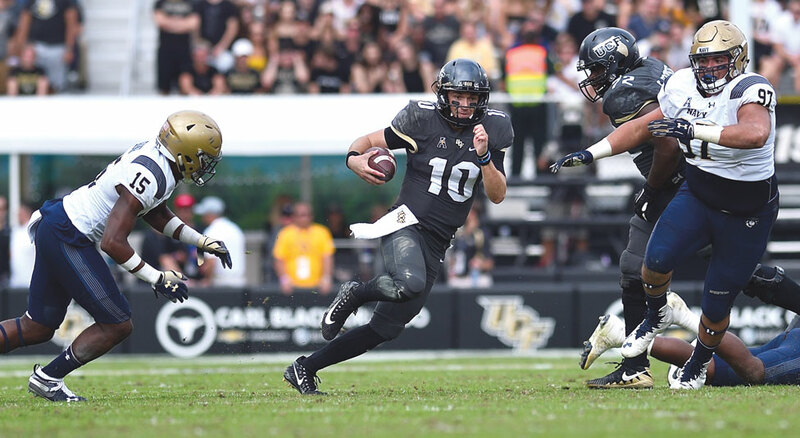 UCF never trailed in the game, but the Knights needed to adjust and focus on a run-heavy game plan in response to Navy’s new defensive scheme. 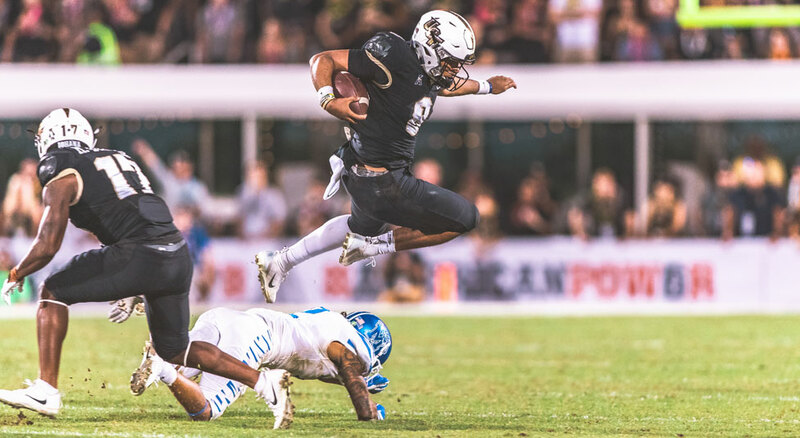 Milton rushed for 62 yards in the game, passing Daunte Culpepper for the most rushing yards in a career by a UCF quarterback. 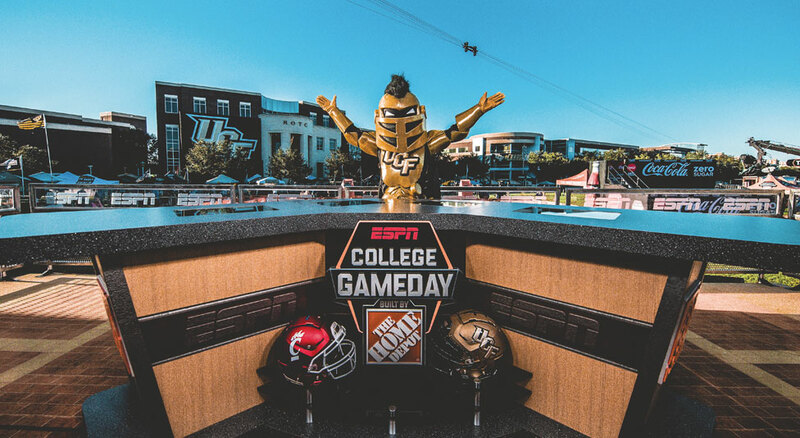 ESPN’s iconic show, College GameDay, made its first-ever appearance at UCF on Nov. 17 ahead of the Knights’ primetime matchup against nationally ranked Cincinnati. “We try to go where there’s a great story. No matter which side of the fence you sit on, I think this is a great story,” said Rece Davis, host of College GameDay. 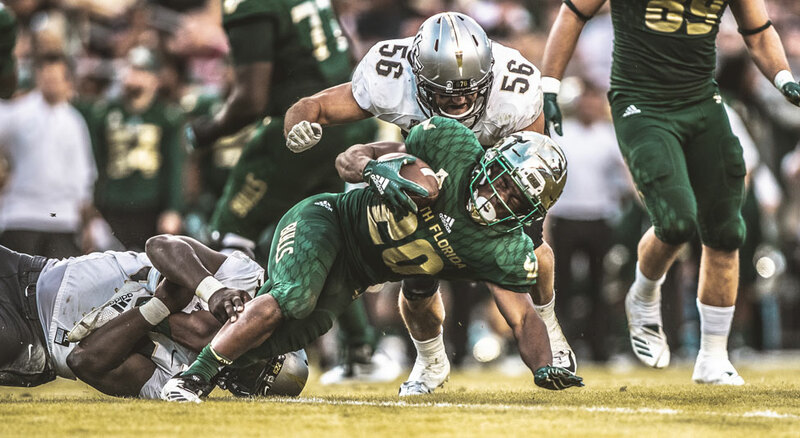 With the whole nation watching the sold-out primetime matchup on ABC, the Knights committed several miscues in the first five minutes, including a strip sack of Milton that lifted the Bearcats to an early 6–0 lead. 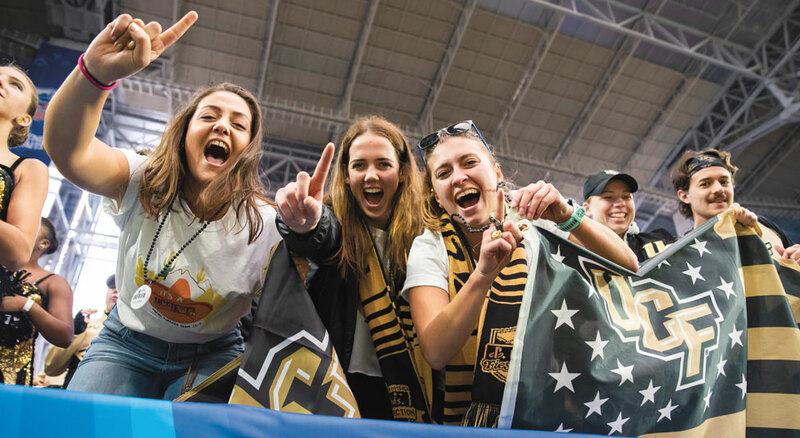 Unfazed, UCF fed off the energy of the raucous 47,795 in attendance and scored 35 unanswered points to clinch the AAC’s East Division trophy. 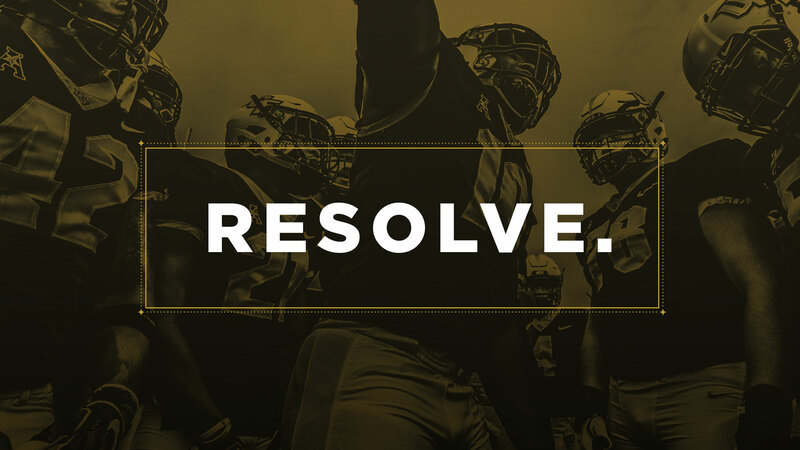 This rivalry game would turn out to be about more than the final score. 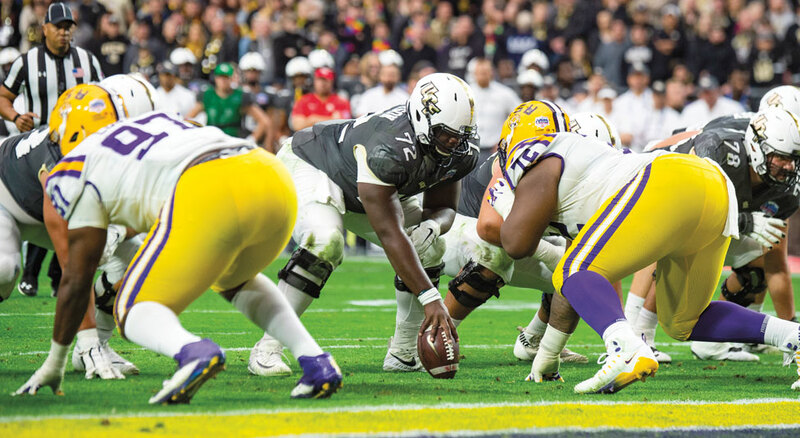 As UCF led 7–0, Milton went down early in the second quarter with a traumatic leg injury that forced him to be carted off the field and into emergency surgery. 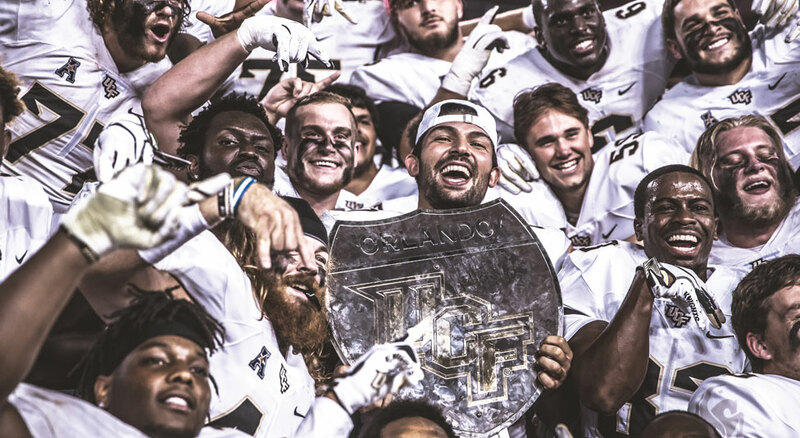 With their leader in their hearts and minds, the Knights pushed on and limited USF to just 7 second-half points to secure the War on I-4 football trophy for the second straight year. With No. 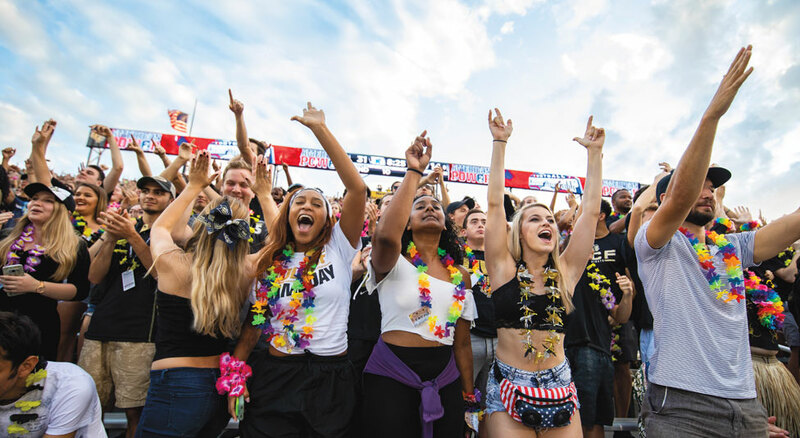 10 watching from home and recovering from his injury, Knight Nation wore leis in tribute to the Hawaiian native. 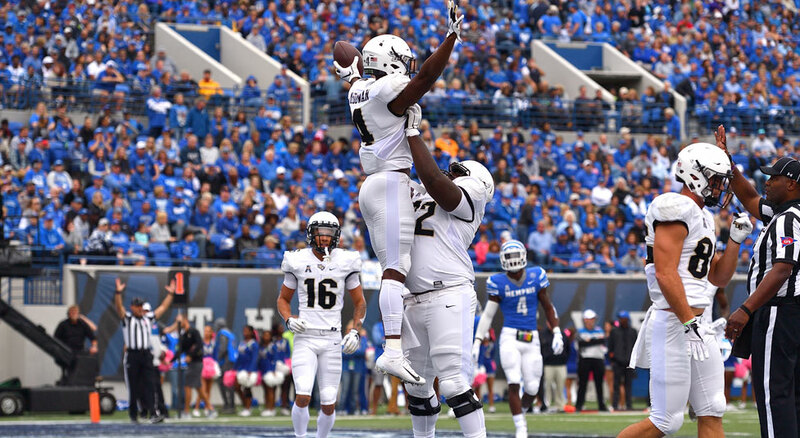 Memphis and UCF took last year’s championship game to double overtime. Earlier this year in the regular season, their matchup was decided by 1 point. The championship game lived up to the hype. 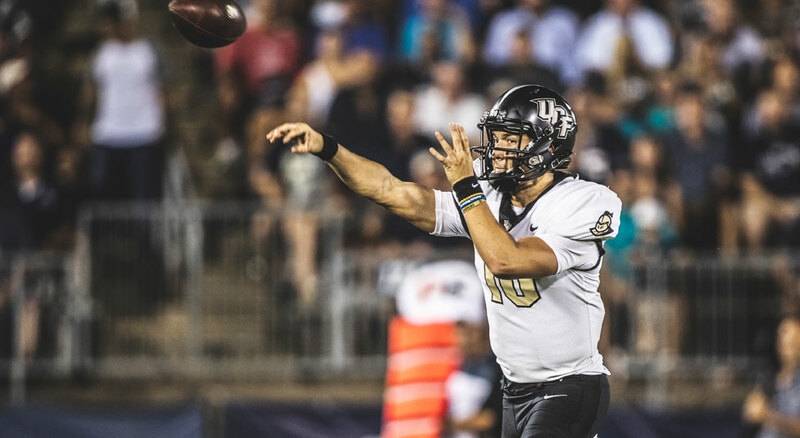 The Knights fell behind early and rallied from a 17-point deficit by outscoring the Tigers 35–3 in the second half. 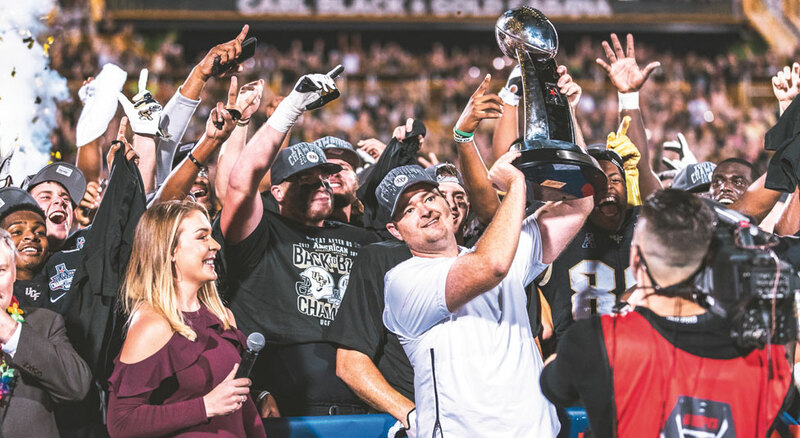 With the win, UCF hoisted another AAC trophy on its home field. 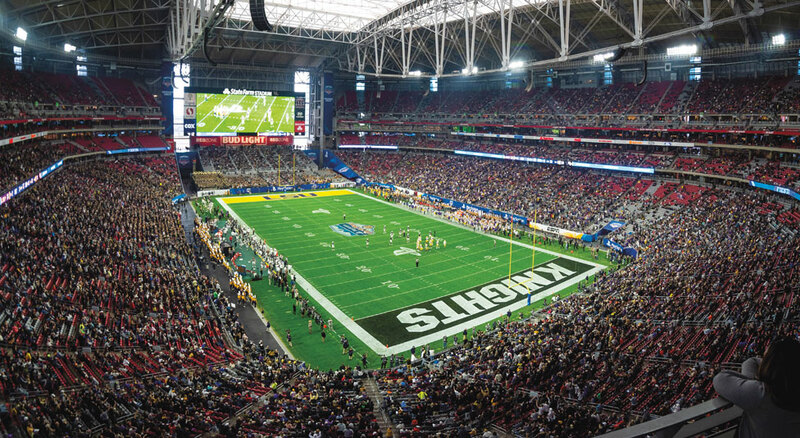 Despite an early 14–3 lead, the Knights’ spectacular winning streak came to an end at the 2019 Fiesta Bowl. It lasted 25 games and a span of 745 days, dating back to Aug. 31, 2017. The accomplishment will be listed in the NCAA record book among the longest winning streaks ever recorded and marks the fourth-longest winning streak this century.